Large format giclée prints of “Particle Landscapes” will be on display and for sale. 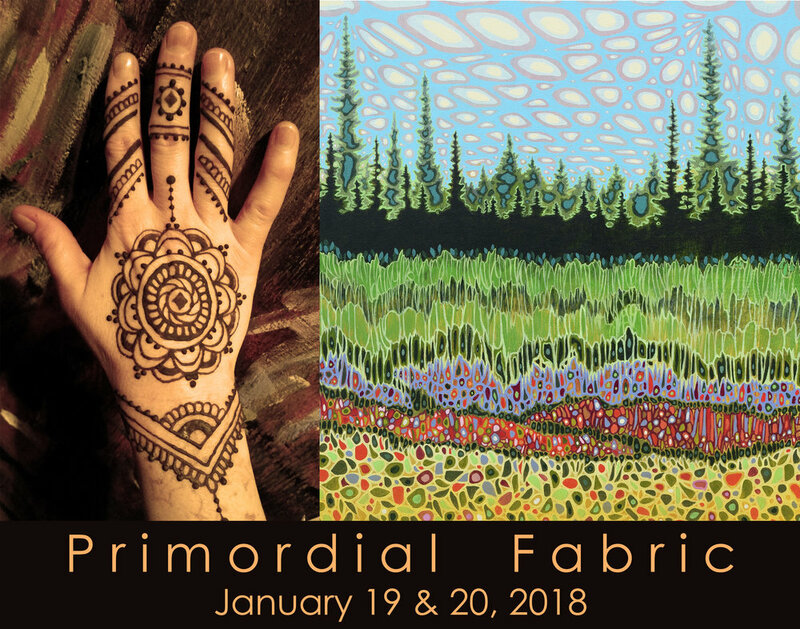 Join Karen Williams-Brusubardis and her visiting guest, Lauren Marvell, this October 19th and 20th to explore the works of two artists’ botanically inspired creations. Williams-Brusubardis explains her practice as an intersection between her memory and imagination. As she paints, she wanders through her past and allows contemporary outside sources to interact with her reflections. She creates work that explodes with vibrancy and shape, balancing fantastical with organic patterns and growth. Similarly, Marvell creates illustrations that are often fueled by the world around her. As she experiences the day-to-day, she observes her surroundings and finds a place for it in her work. By combining memories of moments of intrigue, she creates fictional depictions that are reflective of her inspirations. The two will have both original and printed work for sale. With the gift-giving season right around the corner, now is the perfect time to purchase a thoughtful gift (or treat yourself) while supporting artists in your community. Gallery is open for viewing when the building is not in use. Opening Reception: June 7, 6pm-9pm Don't forget to vote for your favorite piece! Selections from Rebirth and Farmscapes series. Work will be on exhibition until July 18. Located at Discovery World, 500 N Harbor Dr, Milwaukee, WI. Karen WB will have a booth at this event.